David Le/Gloucester Daily Times. 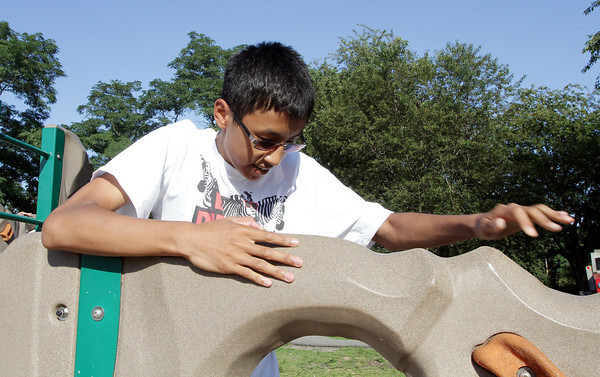 Urian Touch, 14, of Lowell, scales the climbing wall at the Stage Fort Park playground on a warm Friday afternoon. 8/26/11.